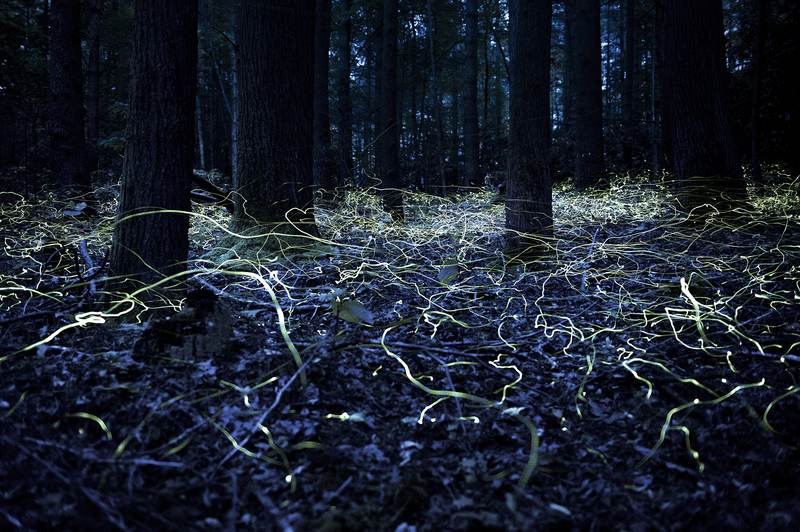 From afar, these fireflies glow blue-white instead of flashing yellow-green. As the weather warms in the Southern Appalachians, the blue ghosts start to appear. 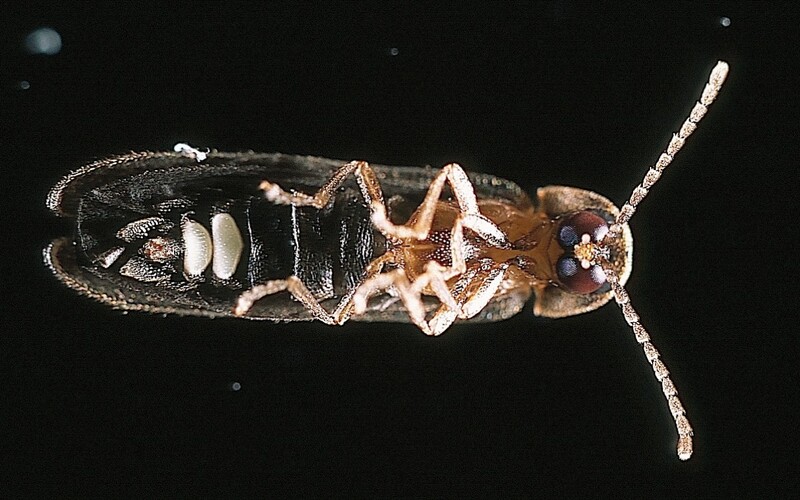 No, they’re not otherworldly or apparitional—they’re just insects. Blue ghost fireflies (Phausis reticulata), native to the region, begin their mating season as spring slides into summer, usually around the beginning of June, although they’re already starting to appear this year, says Jennifer Frick-Ruppert, a professor of biology and environmental science at Brevard College in North Carolina. Frick-Ruppert has lived in a remote, forested part of Western North Carolina for almost two decades, and is mesmerized by the annual display of male blue ghosts silently swimming through the air, their lights glowing among the trees. “The females will crawl up onto a leaf on the ground and [sit] kind of exposed and glow, and then the males will come and track them and find them that way,” says Frick-Ruppert, who authored a study with one of her students on Phausis reticulata in 2008, one of the few pieces of literature on the species. Both male and female blue ghost fireflies, which are about the size of a grain of rice, emit a light that looks more blue-white from a distance than the yellow-green common among other fireflies. The blue ghosts also glow for about a minute rather than flash. Because fireflies generally use their flickering as a communication system, Frick-Ruppert tried to study what this glow pattern means for the blue ghosts, but couldn’t come to a definitive conclusion. “We never did figure out exactly how they were communicating,” she says. The blue ghosts seem to prefer warm and wet conditions for their eye-catching mating season. “A couple of years ago, there was a drought right before their normal season, and their numbers were really down,” says Frick-Ruppert. During a good season, though, she says that a person looking out over several acres might be able to see hundreds to thousands of these fireflies. This year, managers of the DuPont State Recreational Forest have for the first time chosen to close some trails in the area for a few weeks in order to protect the blue ghosts from too much disturbance by visitors who might want to catch the phenomenon in action. Learn to speak the language of fireflies and invent your own secret flash code. Fireflies communicate with a "language of light" that scientists still don't completely understand.